Alternative to Meds Center uses a variety of different compassionate and sustainable methods for medication withdrawal and efficient protocols for medication tapering. We have used these methods on patients for nearly a decade and a half for all types of psychiatric medication withdrawal and quitting pain medication safely. We are truly experts in this arena. Alternative to Meds Center has been exclusively focused on medication withdrawal since 2006. Medication tapering is much more successful when combined with Alternative to Meds Center’s neurotoxin removal protocols, targeted neurotransmitter repair techniques, necessary counselling, and a supportive environment where trained professionals have dedicated themselves to helping exactly this population. Success is often much more than just eliminating the medication. For the vast majority, there are underlying physiological and medical contributors that need to be addressed so that an un-medicated goal can be achieved and sustained. After thousands of residential patients, we are highly aware of all available tapering techniques and are qualified to discuss the strengths and potential limitations of each. We can firmly say this: Abrupt cessation of a medication is almost always a poor approach, as are rapid detox methods. The body is a delicate and complicated instrument, and unless medically warranted, it is ill-advised to suddenly stop a medication. The body needs time to adjust to the neuroadaptation that occurs in response to these medications. This is particularly true regarding antidepressants, benzodiazepines and antipsychotics, and even more so when the medication has been in use for a longer duration. We implore the community at large to understand that rapid detox is a gamble despite being favored by the insurance companies. Alternative to Meds Center is not a rapid detox facility because it almost never works as promised by those promoting the practice. 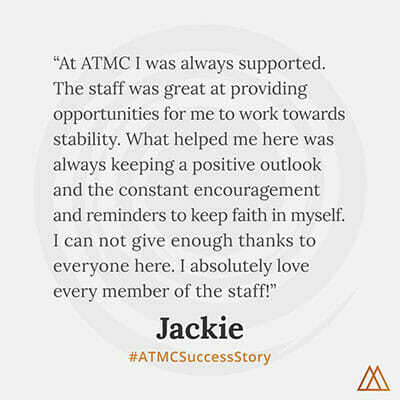 It is a lot easier for ATMC to accept and help someone who is reasonably stable than it is to receive someone who has been fractured and rendered truly unstable by abrupt rapid-detox methods. Medication tapering is a slow reduction method that allows time for the body to adjust to each new level. We find tapering is definitely more effective than any form of cold-turkey or rapid detox, even with those that include comfort medications. Tapering is especially important for antipsychotics, antidepressants, and benzodiazepines. Tapering can be used for opiates as well; however, there are other useful tools for certain opiates discussed below in the tapering off opioids section. In this article, we will discuss several different strategies of tapering. We strongly suggest that people attempting this have some form of trusted medical support. Also, please know that anything we suggest here is limited, as each person is different and allowing for individual variances is what truly makes the difference between a success and a mess. When choosing a center or clinic, it is highly advisable to check references regarding the specific drug you are coming off of. This work is not easy, and it takes precision and experience to know which drugs to taper first and how, but also how to support this process on a natural physiological level as well as an emotional level. Each medication tapering protocol is a precise process, requiring discernment. We cannot be more clear about that. If we could give away all of the information that would work for everyone, we would. However, medication tapering is highly specific to each person, and that is exactly what has made Alternative to Meds successful; individuated protocols. These techniques are not something that could be broadly standardized or a single methodology that could be patented. Alternative to Meds residential program tapering protocols will include all of the prescribing needs, and the tapering methods selected are based on individual factors, using the participant as the final voice in the process. Below is more general information for the tapering community at large. Which medication should I taper first? Each case is truly unique, but here we present some general guidelines. The below is for information only, and is not to be considered medical advice. Medical advice should only be given to you by a doctor or nurse practitioner with whom you have had face-to face contact, or minimally, an established telemedicine relationship. If someone is on a combination of medications that conflict, this may be the first area to look. Situation 1: Someone presents with a history of mania. You find they are on a stimulating antidepressant (SNRI) as well as Depakote and Risperdal. The antipsychotic Risperdal is the most challenging medication. In this case, taking a look at removing the SNRI first would be considered as it may be making the manic situation worse. The SNRI may be ramping up dopamine while the Risperdal is trying to block dopamine. As dopamine excess is what you want to avoid during antipsychotic withdrawal, the logical choice would be to start with the SNRI. Situation 2: Someone has anxiety and is on Prozac (SSRI), Lorazepam (aka Ativan), and Effexor (SNRI). The real challenge for this particular person is the benzodiazepine Ativan. Prozac may actually be providing some support for the anxiety. Effexor, because it can drive up norepinephrine, is likely making the anxiety worse. Effexor would likely be the first consideration. Situation 3: Someone is on the antipsychotic Abilify, and is having a demonstrably bad reaction. This would likely be the medication that would be considered first. If a medication was recently added, it may be one to target for the early part of the overall medication reduction strategy. There are a few exceptions here. If the main problem is sleep, and the new medication is assisting with sleep, it may be useful to save this medication while reducing a benzodiazepine or antipsychotic. The new medication may be useful as a bridge medication while another more difficult drug is being focused on. Going after the most difficult medication early is a very well-traveled path for us at Alternative to Meds Center. It may be tempting for a doctor or center to strip off the easy medications first and go after the most difficult last. The thought might be “the less number of medications the better.” The problem with this is that the other lesser medications may be capable of providing support for the more difficult withdrawal. By leaving the hardest medication for last, the withdrawals may be too intense from this more difficult drug. Without the other medications to soften the reductions, it may prove unbearable. And then the person finds themselves painted into a corner and stuck on the drug that they wanted freedom from the most. Situation 1: Someone is on long-term use of Zyprexa, antipsychotic, as well as Depakote and Gabapentin. The Zyprexa is likely the most challenging medication in this lineup. Tapering it is going to be the most difficult. The other medications (Depakote and Gabapentin) may actually be of some assistance in this scenario to lighten the impact of the Zyprexa withdrawal. So the Zyprexa would be considered as the drug to reduce first. Situation 2: Someone is on Klonopin, Gabapentin, and Zoloft and has a chief complaint of anxiety and poor sleep. The Klonopin is likely the most difficult medication in this regimen. The gabapentin and Zoloft may be providing some support (depending on individual genetics and medication tolerances). The Klonopin taper would generally be considered first. It is likely that the Zoloft and gabapentin may support the benzodiazepine withdrawal process. This method involves simply cutting the pills themselves into smaller doses. Each medication has its own set of precise and most effective techniques. When a person is on a higher dose of a medication and is planning a taper, it is pragmatic to ask the prescribing doctor for smaller dosing pills so that the patient does not have to try cutting a pill into tiny pieces. Example: The patient is prescribed a nighttime dose of 1mg of Xanax. Getting a prescription for .25mg Xanax will make the reductions easier to calculate as opposed to trying to cut the 1mg dose into pieces. a. When are the symptoms the worst? Taking the non-time-release version will likely have to be paired with the time of day when the symptoms are the most evident. b. Is the non-extended release version of my drug a short half-life medication? A drug like Effexor has a short half-life compared to other drugs in the antidepressant class. An EffexorER (extended release) taken one time per day, may have to be converted to dosing in smaller amounts more frequently to avoid inter-dosing withdrawal. If the medication that you are on has a half-life shorter than 16-24 hours, you may want to strongly consider spreading out the dosing to more than once a day. The inter-dosing withdrawal link above will connect you with more information on this topic. Certain medications will not dissolve in water. Trying to put a non-water soluble medication into a water-based suspension will not achieve the result of a calibrated solution. Time release capsules are going to have binders and other additives that are going to basically result in a gooey mess if water is applied to them. Medications may not equally distribute in a liquid suspension, leaving the person guessing what the actual concentrations may be. Medication cross-over and substitution techniques are frequently used at the Alternative to Meds Center in an overall effort to become medication free. Many drugs have a short half-life and can present challenges when trying to taper. The purpose of medication cross-over and drug substitution techniques is to get the person onto a similar drug that has potentially easier withdrawal characteristics. Substitution is where one drug is exchanged for another. Usually, the preferred drug has a longer half-life, which most often makes it easier to withdraw from. Drugs with a short half-life are more associated with severe withdrawal characteristics as the drug leaving the body too rapidly may not give the body time to adapt. For instance, someone might convert from Effexor, a short half-life drug, to Prozac, a longer acting medication. When stable on the new medication, they can then choose to taper off of the Prozac. There may be differences in medications even within the same class and a rapid shift from one medication to another can be redesigned to using the medication cross-over technique discussed below. The Ashton method for benzodiazepine withdrawal involves converting the person from shorter half-life drugs, like Xanax and Ativan, over to an equivalent dosing level of Valium. This method has proven valuable for many persons. It should be noted that not every person responds equally to different benzodiazepines, and a rapid shift from one benzo to another should be monitored by a medical professional as it does have the risk of metabolic differences creating a very serious onset of withdrawal. Not everyone experiences this substitution problem, but it does happen in moderate numbers. A gentler conversion would be a medication cross-over, discussed below. This is where a person is on a short half-life medication and wants to convert over to a longer half-life medication. But instead of an abrupt cross-over, one medication is slowly brought in, while the other is phased out. This helps to lessen consequences from individual metabolic differences, and because a new medication may not address the symptoms in the same way. Example: A person is on 3mg of Klonopin and wants to convert to 22.5 mg of Valium. The original dosing was 1mg Klonopin three times per day. The midday dose of Klonopin may be converted to 7.5 mg of Valium while the other doses stay the same. If it is well tolerated, then the remaining doses can be converted over in a similar way until the person is stable on the Valium. This method generally limits potentially harsh substitution reactions and reduces the potential for dosing equivalency errors. This method involves a tapering or titration directly off of the medication that the person is currently taking. This method can be highly successful, especially when supported by natural alternatives. There is a technique here to understand, and that is the conundrum of inter-dosing withdrawal. A short half-life drug, like Ativan or Effexor, may begin to substantially clear the body in less than 24 hours. So if a person is taking the medication only one time per day, as they reduce the medication, they may experience withdrawal within the 24 hours as the drug is metabolized. This alone can create a very roller-coaster-like effect of withdrawal symptomatology. It is generally better to spread the dosing times out so that this inter-dosing phenomenon is lessened. Spreading out the dosing can achieve a similar effect to a using a longer half-life drug. Direct tapering is favored in many cases at Alternative to Meds Center, as the medication being used is one that the participant is familiar with. Direct tapering eliminates the possibility of medication substitution reactions. ATMC will also use substitution tapering or medication cross-over when the individual situation warrants it. Many tapering efforts are complicated by inter-dosing withdrawal, a rather common phenomenon. Short half-life drugs (those that are substantially metabolized in less than 24 hours) can initiate this inter-dosing withdrawal symptomatology. The rationale is this, if someone takes a sleep or anti-anxiety medication like Klonopin at night, by the time they take it again the next night, they may already be experiencing withdrawal. This becomes even more pronounced when a person tries to taper because the medication reduction can amplify the inter-dosing withdrawal side-effects. Spreading the dosing out may in some cases be all that is necessary to alleviate this phenomenon. Eliminating inter-dosing withdrawal potentials typically makes direct tapering more viable. Tapering off of opioids allows for other modalities we offer, such as the neurotransmitter repair protocols, to take effect. This can allow for a much smoother transition to being no longer dependent on opiates, as well as assist the body in producing its own natural endorphins and enkephalins necessary for pain relief. At times, the individual may be crossed-over to a medication like Suboxone temporarily. Suboxone has a longer half-life, and is generally considered easier to taper from than shorter acting opiates like Oxycodone or heroin. We support a person’s long-term goal of being off opiates and opioids, including Suboxone, and in the majority of cases, will then gradually remove the Suboxone to further promote the building up of natural endorphins. While every medication can have its liabilities and potential consequences, some are considered to be less consequential overall than others. For instance, gabapentin or Trileptal may be less prone to addiction and side-effects than benzodiazepines. Suboxone may be favorable over full opiates or heroin. Depakote may have fewer side-effects than antipsychotics. These bridge medications are generally from a different medication class and are used in an overall effort to facilitate medication withdrawal. At Alternative to Meds Center, if bridge medications are used, they are generally used for short-term to ease withdrawal. At times, there could be highly symptomatic persons who may choose to remain on a well-tolerated bridge medication while they further investigate the underlying causes of the symptoms that they have been experiencing. Alternative to Meds Center’s stance is much more than either medications or no medications. We typically hear from people who tell us that they cannot live with the medication side-effects, and also cannot live without the meds. And we understand that for many, it can seem that these are the only two options. But for us, there is a third option: being on less or no medications without the debilitating symptoms. There are a variety of reasons a person may be on medications that have been overlooked. The most commonly overlooked contributors are medical aspects, neurotoxicity (link to neurotoxin removal), as well as genetic, dietary and psychosocial factors. By systematically addressing these areas, we can facilitate individual goals for those seeking medication withdrawal and relief from symptoms much more sustainably than medication tapering alone. We encourage you to call us for any further questions that you may have.